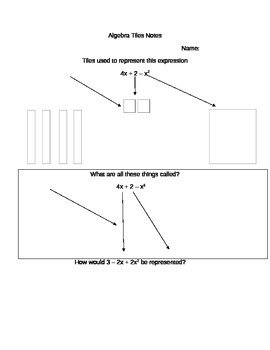 Guided notes for the introduction of use of algebra tiles. Students color in and add notes along with instructor. 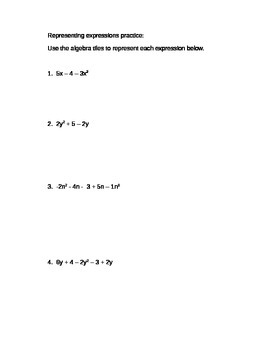 Representing expressions with algebra tiles.